Children of Fallen Patriots Foundation is a national nonprofit dedicated to providing college scholarships and educational counseling for children who have lost a parent in the line of duty. With a nationwide scope, Fallen Patriots has two primary goals: to raise funds to support scholarships and counseling, and to identify and enroll eligible students. 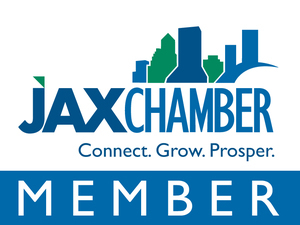 The organization has granted over $19 million in total assistance to hundreds of deserving students, but anticipates the need for funds to grow as more of the estimated 20,000 eligible students enter college. As a foundation, Fallen Patriots was faced with the need to generate awareness on a national scale through media that would reach new audiences and engaged supporters alike. Their growth and impact is contingent on gaining new supporters and reaching children who don’t know that they qualify for these scholarship opportunities, so Fallen Patriots needed something dynamic and big to break through engagement plateaus and expand their reach. Artwork used to spread awareness for the #DropAndGiveMe10 challenge. As a nonprofit, social media—specifically Facebook and Twitter—lent themselves particularly well to being cost-effective marketing and engagement tools. 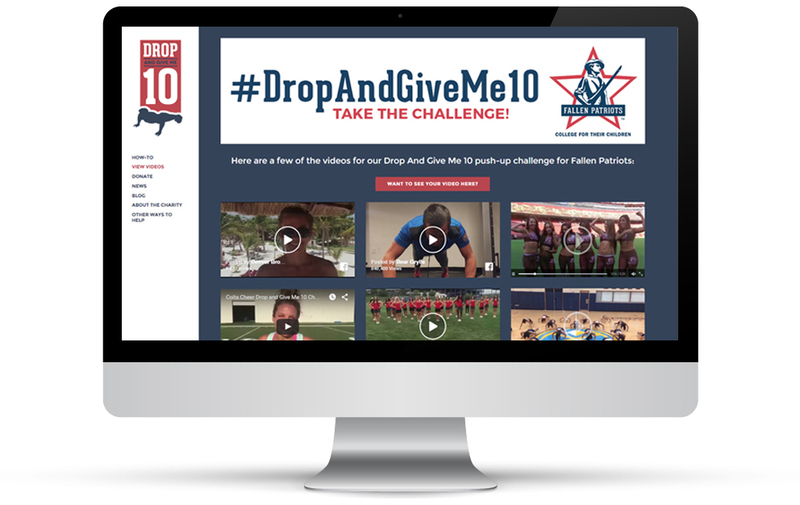 Leadership at Fallen Patriots wanted to launch what they hoped would become a viral campaign, and came up with the #DropAndGiveMe10 challenge idea, where users record videos of themselves doing push-ups, pledge a dollar amount for each one and challenge three others to do the same. Creative shareable graphics that branded the campaign while integrating the signature look and feel of Fallen Patriots. Created specific #DropAndGiveMe10 social media pages in order to promote at any given time when someone completed the challenge. 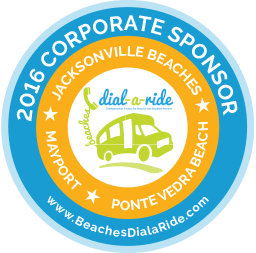 The campaign was strategically launched on Memorial Day weekend by Bear Grylls, and then quickly spread across sports and entertainment to include New Orleans Saints Quarterback Drew Brees, Andy Cohen, Kathie Lee Gifford & Hoda Kotb, Matt Lauer and more. A third of all NFL Cheerleaders participated in the campaign, along with corporations, government entities, restaurants and individuals all across the country. While virality is a complex social media characteristic that requires organic success and appeal, a marketing agency that monitors and integrates digital assets to maximize impressions and galvanize valuable social media players is essential to capitalizing success, and that's exactly what Dion Marketing did for Fallen Patriots. 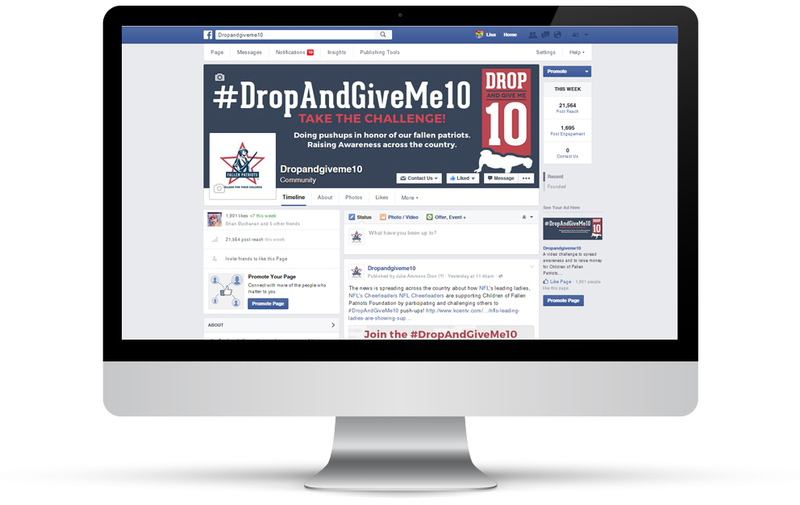 The #DropAndGiveMe10 challenge earned Fallen Patriots millions of free social media impressions through Facebook, Twitter and Instagram and millions more through digital web impressions through news stories, corporate postings and blog articles. 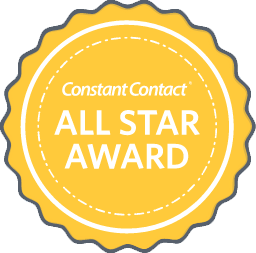 Being the longest-running campaign in the charity’s history, thousands of dollars have been sent in, and donations are still being collected. Bear Grylls nominated Drew Brees for the #DropAndGiveMe10 challenge - and he, along with his kids, accepted! Thank you to the New England Patriots Cheerleaders for nominating us to complete the #dropandgiveme10 push up challenge in honor of our nation's heroes and their families! We accept your challenge and now nominate the Denver Nuggets Dancers... Can you drop and give us 10?! Huffington Post Live segment featuring Fallen Patriots founders David and Cynthia Kim.